Ana Belén Martínez García talks about the difficulties of a self-funded PhD, marriage, and the road to tenure. She refers to the importance of mentorship and her turn from medieval literature to the study of human rights life narratives of young refugee women. In a beautifully reflective tone, Ana shows why this kind of life writing matters to her, both in relation to her role as an academic and beyond it. Lauren Butterworth and Alicia Carter, hosts of Deviant Women podcast, discuss collaboration, the podcasting community, and the importance of women’s stories. You can thank us later, because we’ve found your new favourite podcast. Deviant Women is created by two Australian writers, Lauren Butterworth and Alicia Carter (pronounced A-liss-ee-ah, not A-lee-sha), who are highlighting the lives and stories of extraordinary women in history and literature using the aural medium of the podcast, which is seeing a surge in popularity as well as critical and scholarly attention. Deviant Women is a “chumcast”—a style of podcast “in which two experts or pals riff on a theme” (McHugh 105). In this case, Alicia and Lauren are both experts and pals. Alicia is currently completing her PhD in creative writing, and Lauren is an early career researcher in literary studies and creative writing. Both of them research representations of femininity in history and stories, and they also create their own representations in their fiction. In the autumn of 2014, the life narrative community lost an exceptional scholar and a great friend, Timothy Dow Adams. Tim was one of the founding editors of a/b: Auto/Biography Studies and his outstanding scholarship—including the two books, Telling Lies in Modern American Autobiography and Light Writing and Life Writing: Photography in Autobiography—have had a lasting impact on the field. As a way to honor his life and work, the editors of a/b: Auto/Biography Studies created the Timothy Dow Adams Awards. These prizes support emerging and underrepresented scholars in the field with mentorship and small grants. Beginning with the 2018 IABA Brazil Conference, we extend this award through the newly-created TDA Travel Grants. These travel grants have been designed in collaboration with the IABA Student and New Scholar Network, and will be made to support graduate students; independent scholars; and, contingent, underfunded, and underrepresented faculty members attending an IABA global conference. Applications for the TDA Travel Grants must be filed by April 20, 2018. Further information regarding the application process is available on the a/b website at: https://auto-biography.org/awards/. Donations to support and expand this effort are very welcome and information regarding tax-deductible contributions may be found on the same webpage. Sarah Lightman presents the experience of the void from the perspective of a woman who also happens to be a successful cartoonist and a mother. Having just submitted her PhD thesis, Sarah explains how she balances the needs of her son, her artistic creativity, and her scholarly output. Ozlem Ezer writes of her experiences of both the PhD process and the post-submission period in Canada, the US, Cyprus, and Sweden, stressing the usefulness of supportive communities in these two periods. Describing her journey through the PhD and “across the void,” she explains that it is okay to stop, to take breaks, to experiment, and to realize in the process what works best for you. Kate Browne tells how her PhD work on autobiographical dieting practices, weight loss success stories, and food journaling have influenced her online teaching and her own Facebook “autobiography-in-action.” Introducing her project, Taking Up Space, she explains how she sees her activism as a form of teaching outside academia. I defended my dissertation in March. In August of the same year, I decided that I would not put myself “on the market” this year, or perhaps in any other year. I blame my dissertation. Lisa Ortiz-Vilarelle, Associate Professor at The College of New-Jersey, discusses life after the PhD, the transition to the professoriate, and the expectations set on emerging scholars, but most of all, on continuous mentorship in academic lives. Maria and Orly first met with Lisa when the three presented on a panel at the IABA Americas Conference in 2015. The energizing, generous, caring, and committed energy of that panel stayed with us, to the extent that for the next two years we kept thinking together. Maria and Orly are wholeheartedly thankful to Lisa who agreed to share parts of the following conversation which was threaded in different locations across the Atlantic. Our interview with Lisa Ortiz-Vilarelle began on a walk in Nicosia (during IABA 2016 in Cyprus). That walk sparked a conversation between Maria and Lisa about life after the PhD, the transition to the tenure track and professionalizing demands set on emerging scholars (during grad school as well as the tenure track). Ana Horvat reflects on the SNS “Collaboration” Roundtable at the 2017 IABA Europe conference. Amanda Spallacci reviews SNS’s “Collaboration” roundtable at the 2017 IABA Americas Conference. The International Auto/Biography Association 2017 Americas conference honoured Marlene Kadar, who has been instrumental in establishing the field of life writing, particularly, by nuancing issues around gender, genre, trauma, archival methodologies, and transnationalism. Much of Kadar’s research and publications are co-authored and co-edited, from Photographs, Histories, and Meanings with Jeanne Perreault and Linda Warley to Tracing the Autobiographical with Susanna Egan, Jeanne Perreault, and Linda Warley; and so, it only seemed natural that an overarching theme investigated throughout the conference was collaboration. 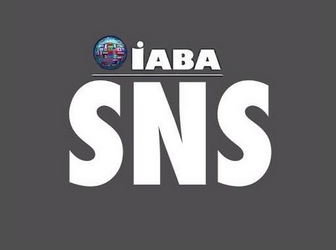 Each bi-annual cycle IABA SNS hosts a series of roundtable events at regional and global IABA conferences. The series invites emerging or established scholars, activists, and practitioners to engage in a key-word-based multi-disciplinary discussion. Participants share a 5-minute presentation that takes up the keyword from a theoretical, methodological, creative, pedagogic, or political perspectives.